Noman royal city in Karachi is the old and on going housing scheme by Noman Builders and developers . 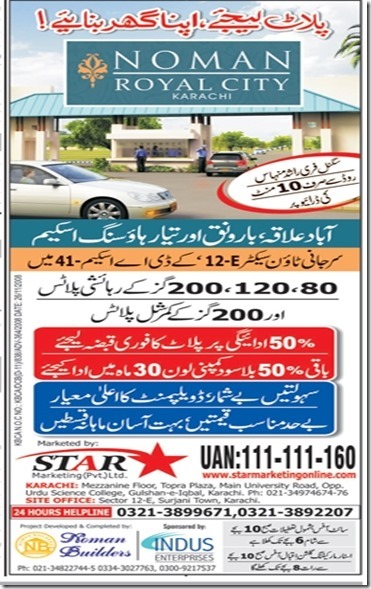 Project was launched years ago and still plots are available for booking on first come first served basis . Project offers 3 Marla , 5 Marla and 8 Marla residential plots and also 8 Marla commercial plots on installments and cash payment .